Half of the country may be covered in ice right now, but this story will warm you to your core. 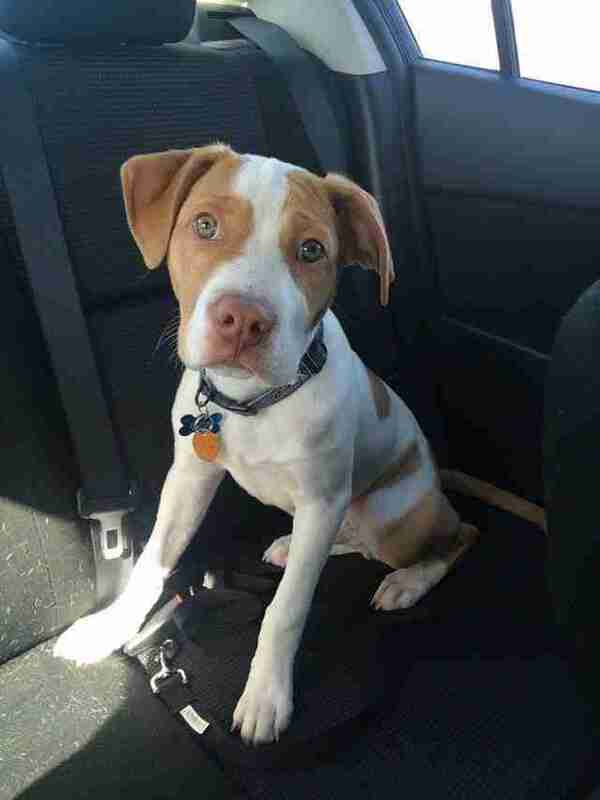 When redditor Itamarie showed up to pick up her new puppy Diego from a man whose dog had an accidental litter, she noticed that something didn't seem right. Diego and his seven siblings were only 3 weeks old, too young to be separated from their litter, and they were being kept out in the cold without a warm bed, food or water. 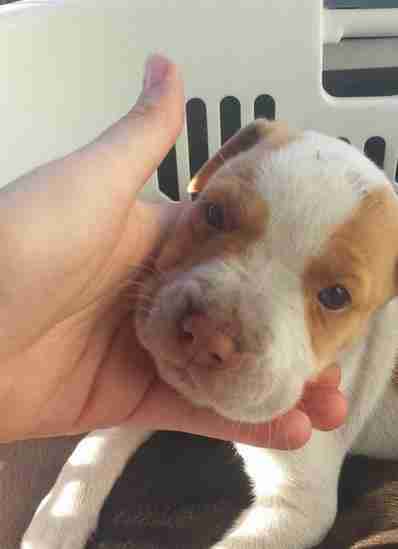 So Itamarie took all eight puppies home to care for them until she could find them forever families. 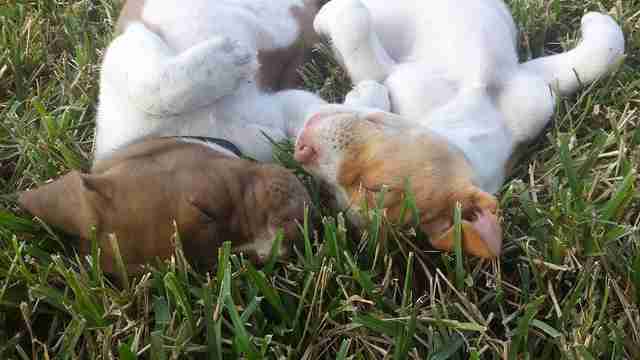 Itamarie knew that if the puppies wound up at a shelter, they might never find homes. "No humane center would take them without there being a very big chance of them being euthanized due to their breed," she wrote. In most shelters, at least 20 percent of the dogs are pits, but that number can be as high as 80 percent in some places. Pit bulls are the most euthanized breed in shelters, and in places with breed-specific legislation, many pit bulls have no chance at all of making it out of the shelter alive. So Itamarie suddenly had a lot more puppies than she expected. 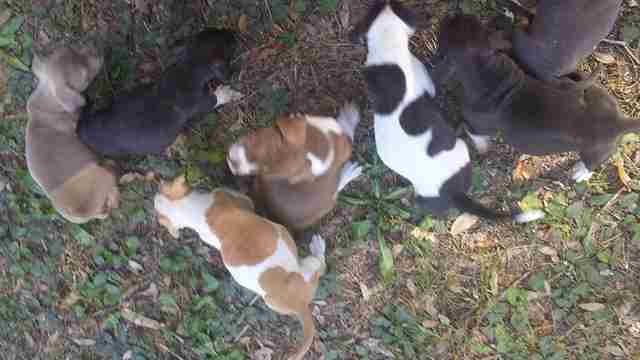 After getting bathed, dewormed, and eating solid meals for a few days, the pups started to look a lot healthier. They even bonded with Itamarie's older dog. 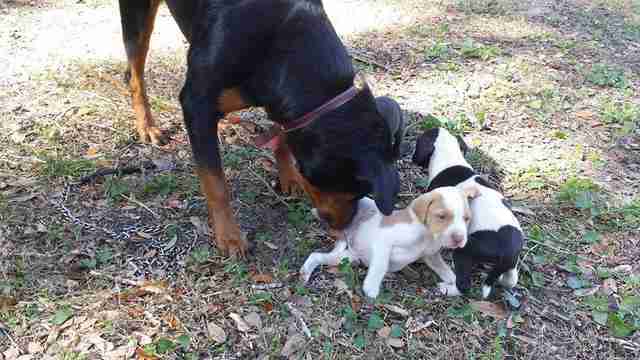 Slowly but surely, she began to find safe and loving forever homes for the puppies. But Itamarie couldn't stop thinking about the puppies' mom and dad, who were still living in the same harsh conditions the pups had come from. So she went back and got them too. See more photos and read the whole story in Itamarie's words here.